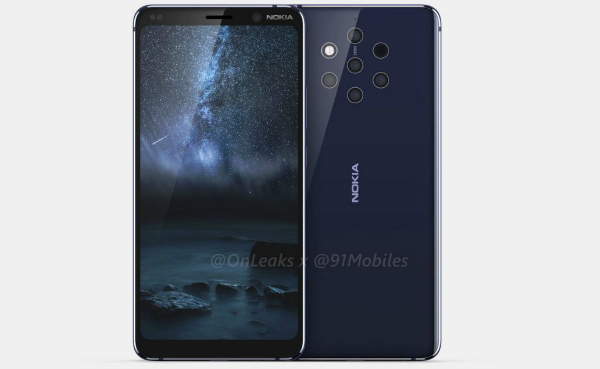 Nokia fans are still waiting for HMD Global, the company owner of Nokia, to launch the new 'Nokia 9' with 5 camera, which has provoked much controversy recently. In this context, a series of images and 3D video have been leaked by the famous and trusted website 'Onleaks'. The Nokia 9 will come with a number of specifications, most notably 5 camera, processor of 'Snapdragon 845', a 4150mAh battery and a 5.9-inch screen.